A rise in early bookings by Russian tour operators for travel packages to Greece is leading Greek authorities to expect more than one million Russian holidaymakers to visit the country this year, Gtp.gr reports. Early bookings from Russia are up by 15 percent, the Greek Tourism Ministry said on Thursday at the Moscow International Travel and Tourism Exhibition (MITT). Greek Tourism Minister Elena Kountoura met with leading travel and tourism groups of the Russian market that plan and distribute the bulk of travel packages to Greece. Among the main topics of the meetings was for the Russian travel groups to introduce new Greek destinations to Russian holidaymakers, increase the promotion of the country’s most popular destinations in their travel packages and promote the thematic tourist products that Greece offers. The meetings were also attended by Greek National Tourism Organization (GNTO) VP Aggeliki Chondromatidou and GNTO Russia & CIS Head Polykarpos Efstathiou. “In 2018, approximately one million Russian tourists visited Greece. We expect to see a rise in these numbers in 2019 due to the fact that we are already seeing a 15 percent increase in bookings compared to the same time last year,” the minister said. The Greek delegation hosted a promotional event in Moscow which was held to boost Greece’s promotion in the Russian market. The event was attended by prestigious Russian artists, representatives of the largest spa resorts and hotel chains in Greece, and heads leading travel agencies specializing in luxury vacations. 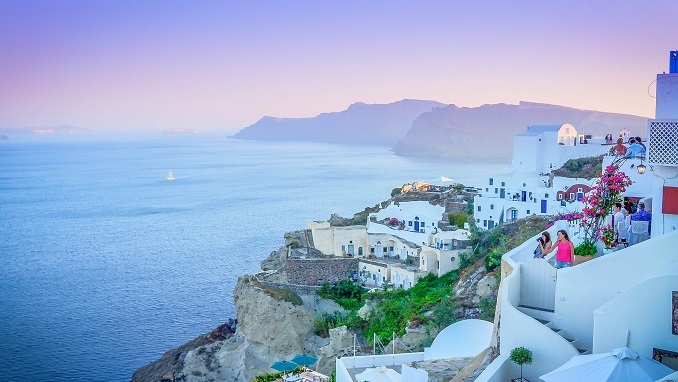 A record-breaking 30 million tourists visited Greece in 2018, according to data from the country’s central bank. The figure is an increase of 10.8 percent compared to 2017 when 27.19 million people visited the country.